How’s this for a career milestone? 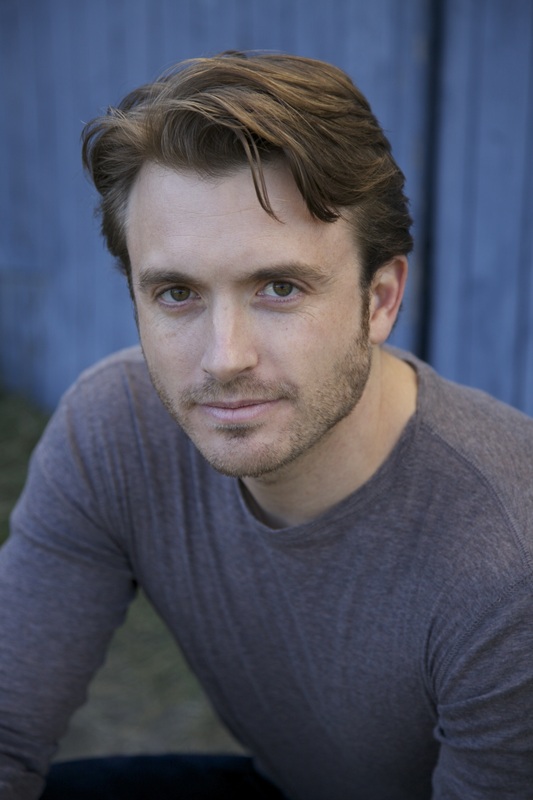 Actor James Snyder owned his very first Broadway cast album back in the mid-1990’s as a teenager. 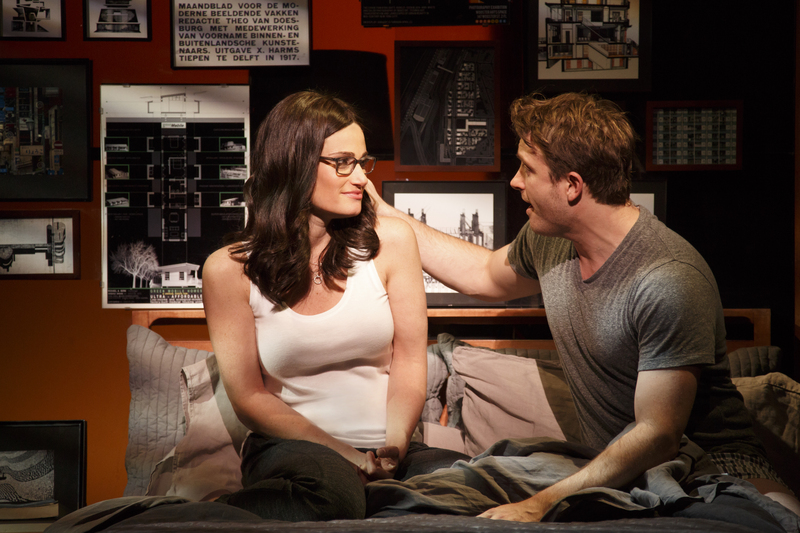 That album was “Rent.” That soundtrack features, among others, Idina Menzel and Anthony Rapp in star making roles. Now imagine going to rehearsal about 18 years after “Rent’s” premiere, where you are cast in a new musical also starring Menzel and Rapp. Pretty damn cool, yet pretty freakin’ scary. “Next to Normal’s” Tom Kitt and Bryan Yorkey saw something special in Snyder, who is one of the stars of the Broadway musical “If/Then,” at the Orpheum Theatre in San Francisco, running through Dec. 6th. The show follows the 40-year-old Elizabeth, who returns to New York City searching for a fresh new lease on life after being away for a while. Snyder plays Army doctor Josh, a man who is at first rebuffed by Elizabeth, but ultimately represents one of her paths in life. The show explores the duality that exists within people’s lives, and how the smallest of choices can change a person’s direction in an instant. For Snyder, who also joined Broadway star LaChanze in the production, fear played a bit of a role in those early rehearsals. That groove includes some intense kissing with Menzel, a whole ‘nuther level of scary. “The high school in me was that my mind was blown,” said Snyder. “It’s the great part about acting, the story is more important than any personal thing I have going on. Menzel has a strong history in the Bay Area, having originated the role of Elphaba in the world premiere of “Wicked” at the Curran Theatre back in 2003. And Snyder is extremely local himself. Born in San Jose, Snyder’s father is a James Lick High School graduate, meeting James’ mother while both were students at San Jose State. For Snyder, who did his growing up in Sacramento and his undergrad at USC, singing seemed to follow a bit of a preordained path. Despite the fact that he felt he was a little too goofy to fulfill his first dream of being a rock star, a career in musicals worked out very well. “My dad sang in barber shop quartets all his life in San Jose, and for me, I just learned from that and always sang,” said Snyder. “Singing was something I just did. I never thought about it, and just sort of always had a song in my heart. Snyder’s career has been filled with some great moments. Being cast in the original workshop production of “Rock of Ages” and the world premiere of “Crybaby” were huge gets for the young actor. Snyder was also able to stay on for the entire run of “If/Then” on Broadway at the Richard Rodgers Theatre, which lasted for 401 performances and 29 previews in just under a year, a run that began in March of 2014. The 34-year-old Snyder is in a place where his life is a product of solid choices. His wife is able to travel with him on this latest tour of the show, and their two-and-a-half year old son and 14-week old daughter are along for the ride. It’s rare that a show can so parallel a performer’s life, but from one of Snyder’s solo songs, entitled “Hey Kid,” to understanding the power of choices, the piece connects to him on an even deeper level.